When you grow up with a single console and a limited budget the amount of content you may get from a game really depends on how far you are willing to break that game. I remember playing Tony Hawk Pro Skater for hundreds of hours, and a good amount of those was trying to get to areas that you weren’t supposed to. You may be wondering why I bring this up for my review of Super Mario Odyssey, a game that has nothing in common with Tony Hawk Pro Skater. Please keep reading as I explain why they do and how that made this one of my favorite games of the year. As many times before, Bowser has kidnapped Princess Peach. I love that the game doesn’t even care to explain how we just start in the middle of the fight between Bowser and Mario on top of Bowser’s airship. This time around, however, Bowser defeats Mario and throws him out of his ship while flying above the Cap Kingdom. That’s where Mario meets Cappy, who informs us that Bowser also kidnapped his sister. Both join forces to rescue their loved ones. I know you are not here for the story so don’t expect anything new. For Mario games, Bowser is just a plot device to give you a reason to jump all around the world. And it has worked just fine for the last thirty years, so I don’t see a reason to stop now. Gameplay, however, is what makes or breaks a Mario game, and Nintendo definitely made it with this one. 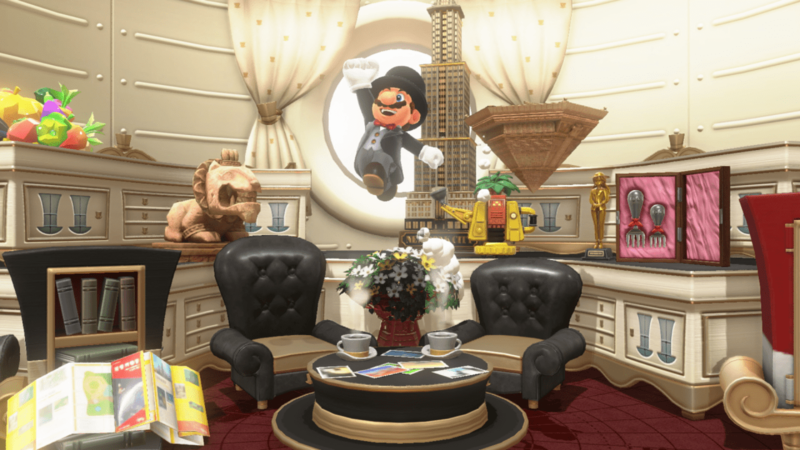 Besides the standard set of tools like jumping, wall jumping, air stomps and grabbing onto ledges, Super Mario Odyssey introduces Cappy, which is the cute hat-like character that assists Mario. With the press of a button, we launch him in front of us which works as a projectile and can dispatch small enemies, collect coins or activate switches. But the real fun starts when we hit a bigger enemy. Mario will then capture (not possess, Nintendo was clear about it) that enemy allowing you to control its movement. And such a simple thing makes a huge difference on how we will interact with everything in the world. For example, we can capture a Bullet Bill to fly through the air and reach a faraway location or control a frog that jumps a lot higher than Mario. There are over 50 different enemies and objects to control that gives you lots of different abilities to use and master. Another new change to the formula is the removal of lives entirely from the game. Now the game uses Checkpoints that are scattered through the world in the important areas, or when you enter a door. But dying is not free, you will lose 10 Coins for dying. This really isn’t that important as coins are used mostly to buy cosmetic items like hats and clothes. There’s a second currency also in place which are purple coins. These are also used to buy clothes and items to decorate your ship, but there is a fixed amount scattered through each area and you don’t lose these when you die. 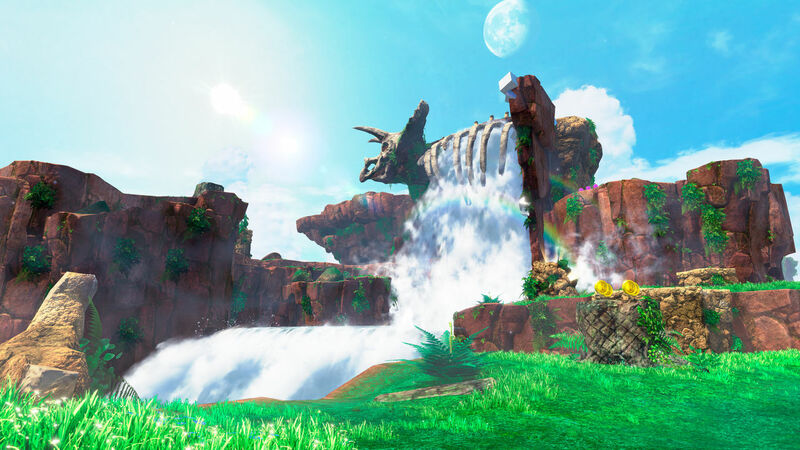 In order to catch-up with Bowser, you will have to navigate through several Kingdoms aboard your airship, the titular Odyssey. And while there is a menu screen to select which world you want to go, once you land you have a whole open area to explore. The game will tell you where to go to continue the story, but you are free to explore and collect all the items that you can. By following Bowser you will run into Power Moons which are the main collectible in this game, and a minimum amount is required in order to reach the next world. But by completing the main objectives you will always have the minimum required. On my first paragraph, I mentioned that there are some similarities with the Tony Hawk Pro Skater games, and the reason I say that is how both approach collectibles. While the main attraction of Tony Hawk is to earn high scores, the campaign mode has you running through the stage collecting different items. And to do so you need to use all your abilities in unique ways to reach areas that you normally wouldn’t be able to. Super Mario Odyssey takes this same concept and adds its own spin. To give you an example, during the adventure you will find rooms with a drawing of a hat at the door. These are puzzle rooms that have optional Moons. These all have a main Moon that you will get simply by reaching the end of it, but also there is a secret Moon that you need to think outside of the box to collect. This can be by reaching a wall that seems too high at first, or by jumping out of a platform that you may think leads to your death. And through all of the game, they keep pushing this idea that you have to go outside the boundaries in the game, try to break it by jumping where you are not supposed to or use an enemy in a way that wasn’t explained during the story missions. Maybe not all the times it will lead to a new Moon, but you will almost always find coins, which is Nintendo’s way of saying “We knew you were going to try to get here”. As you can expect, every world in the game has a different theme, and I don’t mean just visually. 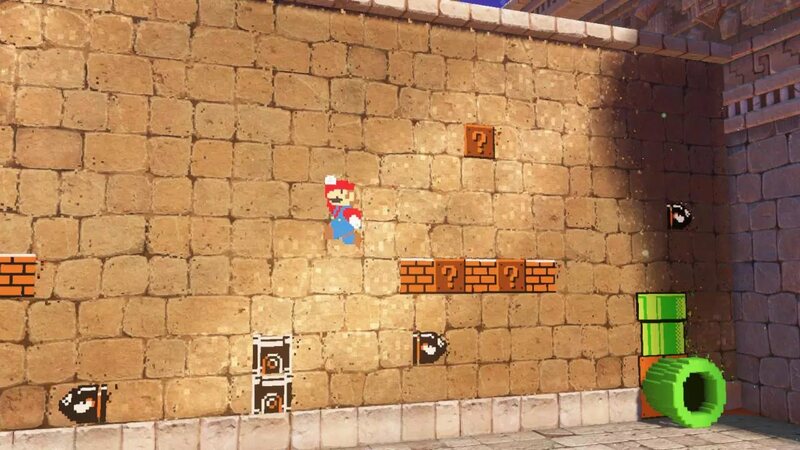 Each world will introduce new enemies that Mario can control with new and unique abilities. And your mastery of these abilities will be tested against the final boss of the world. Usually, in games where you don’t have combat mechanics, the bosses can feel very different from the rest of the game, but this is not the case here. The same platforming skills used through the levels are needed on the bosses. And while they use the classic formula of having to repeat the same pattern 3 times with small variables each time, they manage to feel challenging and fun to beat. Now, let’s talk about nostalgia. For the last couple of years, Nintendo has become a master in selling it, the NES and SNES classic consoles are the best examples of this. But thankfully they have managed to incorporate it into the game in a very good way. From trailers, you may have seen that there are pixelated pipes that, when you enter them, will transport you into a 2D pixelated area with the same graphics as Super Mario Bros from the NES. These are just small sections or bonus levels but the detail put into them is amazing. I mentioned that you can change Mario’s clothes, so when you enter any of these levels Mario’s sprite will reflect the new clothes, and the song of the level will also change to an 8-bit version of it as well. Overall I like all the changes that they made with the formula of what a Mario game can be. Due to the nature of the game, lives are no longer needed, and it’s kind of silly to get a Game Over in a game that you can simply reload your save. Every time you grab a collectible the game will autosave, so even if you die you don’t have to do it again and there’s even fast travel. All that makes the game a lot easier to traverse, but doesn’t remove the challenge to it. The main story may feel easy, but collecting everything else requires you to use all your abilities to the maximum. I only have two complaints with regards to the controllers. You can play in Portable mode or connected to the TV, but the problem is that the game has motion controls added to it. The motion controls give you some additional abilities that you cannot use while playing portable. For example, there is a motion that you move both Joy-cons to the left and Mario will throw Cappy in a circle-like motion. There is no way to do this otherwise and it’s required for some optional Moons that requires that you touch a group of flowers almost at the same time. I’m sure that this could have been implemented to the portable controls since you can jump with B and A, and use Cappy with Y or X, which makes it kind of silly not putting some of these actions in the control instead of relying exclusively on motion controls. My other complaint is how you control Bullet Bill and similar creatures. Since Bullet Bill is always in motion you have to change its direction. I would expect it to be controlled with Tank controls, meaning that the left button will cause him to rotate left regardless of where you are facing. However, it will cause him to face left, Up will cause him to face Up and so on, which I find confusing. This may be just me but I expected it to control like the Nikita Missile from Metal Gear Solid. Moving over to the graphics of the game, they look as gorgeous as you may expect. All the different worlds are colorful and filled with detail. Mario’s textures and clothes are very detailed. The same is true for the enemies and NPCs and I never experienced any frame drops or slowdowns while playing on my TV or in portable mode. The music is amazing. All the new tracks are catchy and go through several genres for each of the areas. There are also some returning songs from previous games with new arrangements. As I mentioned before, Nintendo knows how to sell nostalgia and they totally did it with the music in this game. A nice detail is that once you beat the game you can select which song to listen at any time while you play. 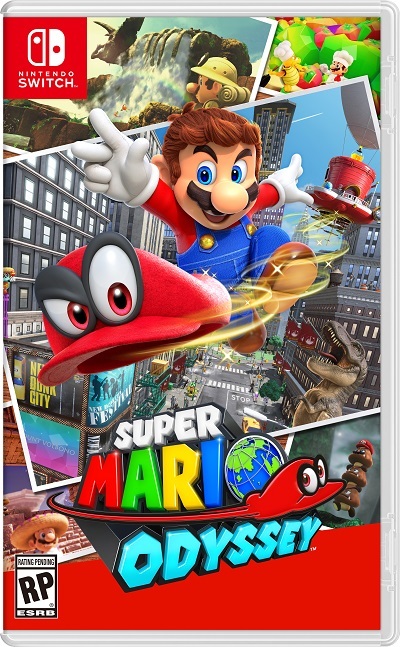 Wrapping up, this is probably the best Mario game released by Nintendo, and while I hate to say it, it’s a masterpiece that everyone should try. The main story can take around 15 to 20 hours to complete, but I think I have over 35 hours in and I’m still missing half of the moons in the game. That seems fair for a $60 game. 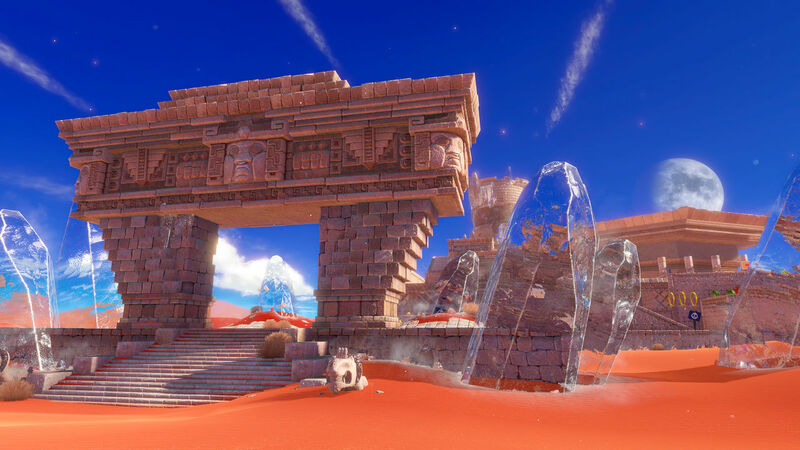 For fans of platforming games, I’m sure this one was already on your radar so you shouldn’t miss it. For everyone else, this is how you do a platforming game, and you should also play it if you have a Switch. 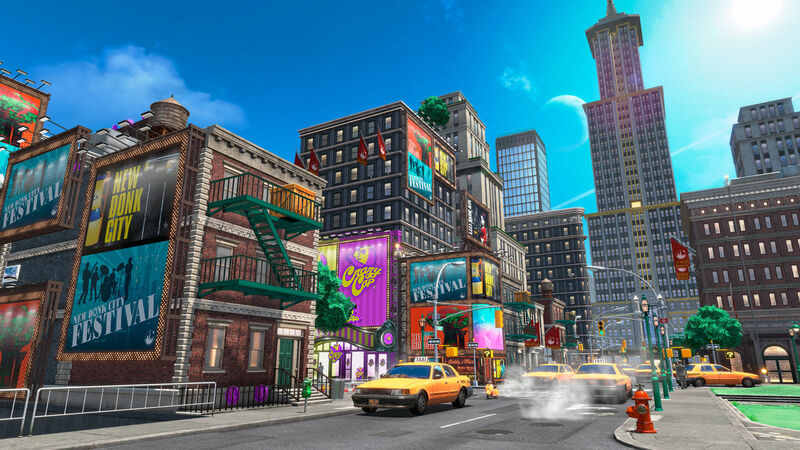 Nintendo pretty much created the genre and Super Mario Odyssey shows why they are still the king of it. Review copy purchased by the reviewer. Henry's First videogames where simple NES games like Ice Climbers, Contra or Super Mario, but it was until he played Final Fantasy that he found out his true passion. Huge Fan of JRPGs(Final Fantasy, Valkyrie Profile), Music Games (Rock Band, Theatrhythm) and Board games (Magic The Gathering, Betrayal).